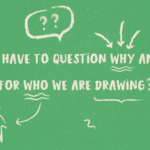 How and why we chose to draw is something that we discuss regularly in studio make:good. 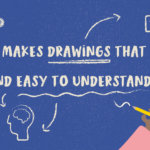 As a mix of architects, illustrators and graphic designers, we all have very different styles of drawing, and have had different training in how and why we draw. 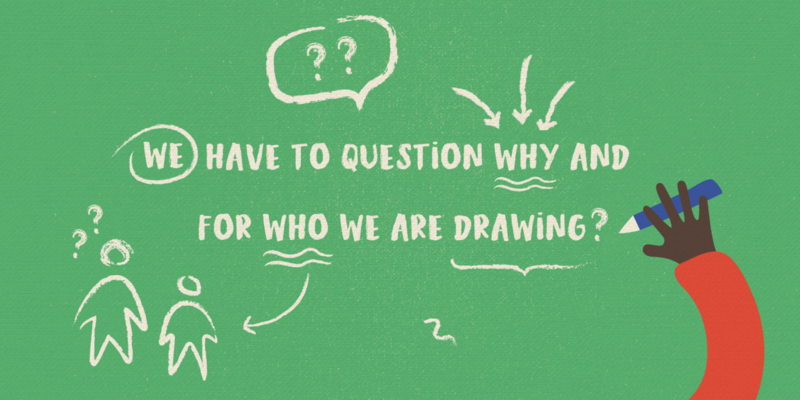 The question, which often gets forgotten, is who are we drawing for, and what this means for the drawing style? Are we drawing for a client, drawing for our peers, drawing for the non-designer to understand proposed changes, or drawing for a fabricator to build something? 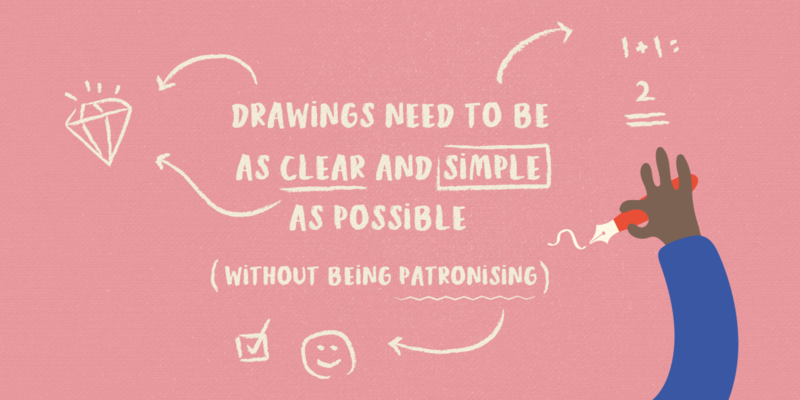 If we draw things to impress our peers, these may not be accessible to the non-designer, so in our field of engagement and codesign we have to question why we are doing those drawings in the first place. We tend to focus on 3D sketches, montages and modelling as a way of telling the story of a project, with technical drawings for construction, so that the non-architects in the room can still question what a drawing means. Communicating, conversation and exchange of ideas is key to our work, and if that communication isn’t understood, we’ve already lost the battle. Somehow, strangely, drawing as a method of communication can get a bit lost in the process of architecture training and crits, in my experience anyway. Where drawings can become a gloss to convince a certain audience of work done, adherence to a style and innovation. I would say that those years through architecture school slightly clouded my relationship with drawing and there are still some demons to shake off. Drawing beautiful abstract depictions of space is not one of my core skills – I can do a mean diagram and doodle, and thankfully work with people who can interpret what I mean – but that doesn’t mean I can allow myself to disengage from the world of drawing entirely, because it is such an intrinsic part of the design world. 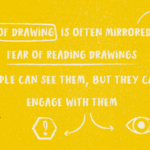 I wonder if we focused on drawing as a method of communication a bit more, and less on creating a beautiful end result, might it help erase some of the barriers to engagement that are caused by a fear of drawing? 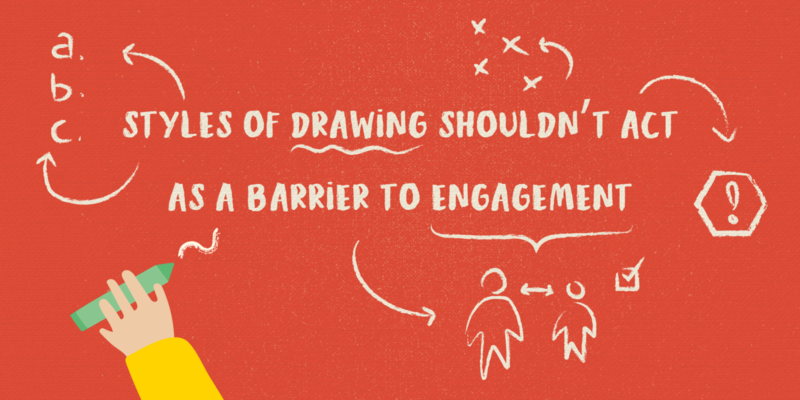 So often in workshops or engagement sessions, people are petrified we might make them draw their ideas. Some people do love it, but more often than not people are fearful or embarassed, and this makes them back away from participating. 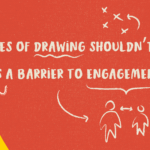 We get around this by using collage, photographs, 3D models, sketches, and written notes to encourage people to share their views, but it is also interesting to think about how we can break down the barriers to drawing specifically. 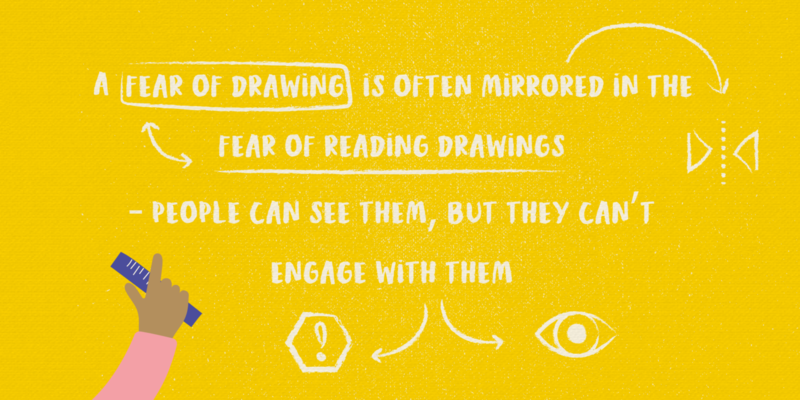 The fear of drawing itself is then mirrored in the fear of reading a drawing – understanding what it means and what is being proposed. This is really problematic, because if people do not understand the content being presented to them, then how do they offer meaningful feedback? On that basis, can the engagement ever be genuine? I think as designers or creative types, it is all too easy to forget that even the simplest of drawings are often intensely codified. A plan, or a section say, are actually complex diagrams with a lot of embedded convention and representation that, as architects, we learnt over and over how to draw and read. 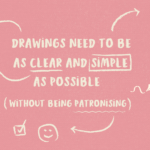 Making drawings that are as clear and simple as possible whilst not being patronising, and supporting engagement through training or explanation on how to read plans and diagrams does, in our experience, seem to help. For us, this relies a lot on the feedback loop where people let us know whether they are following the process and if they understand or don’t, so that we can assess their engagement more than just a nod. Its really important to us that we connect with people, and work with them to connect with change in their area. As an industry, we need to make sure that this engagement, that connection, is not disrupted by things that we take for granted, be it the length of the planning process or the style of a drawing. In remembering who you are drawing for and their experience, you remember why, and for who, we design. 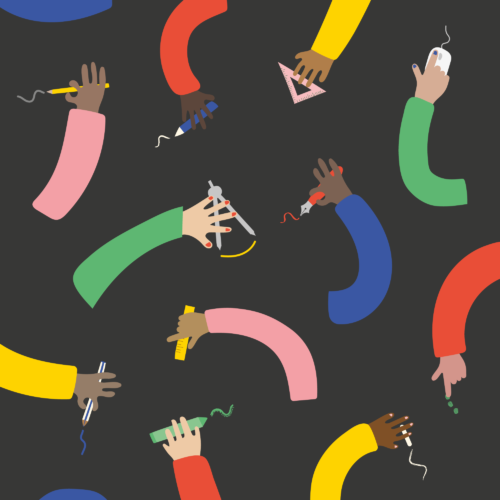 This month we are getting inspired by the Big Draw, and will be focusing on all things drawing, including some drawing workshops in our studio, drawing as an engagement tool, and thinking about some of our favourite tools for drawing with a focus on drawing for the non-designer. 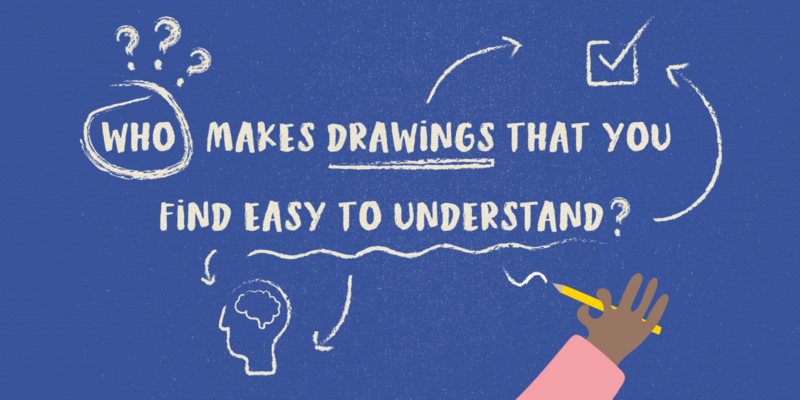 What are your favourite easy to understand drawing styles that you would add to our collection?